The Minister of Tourism of the Republic of Bulgaria Nikolina Angelkova met with the President of Slovakia Andrej Kiska in Bratislava. The meeting was held during the Minister’s one-day visit for the opening of the International Tourist Fair SLOVAKIATOUR - Incheba 2015. The event is under the patronage of the Ministry of Transport, Construction and Regional Development of the Slovak Republic and this is its twenty-first edition. 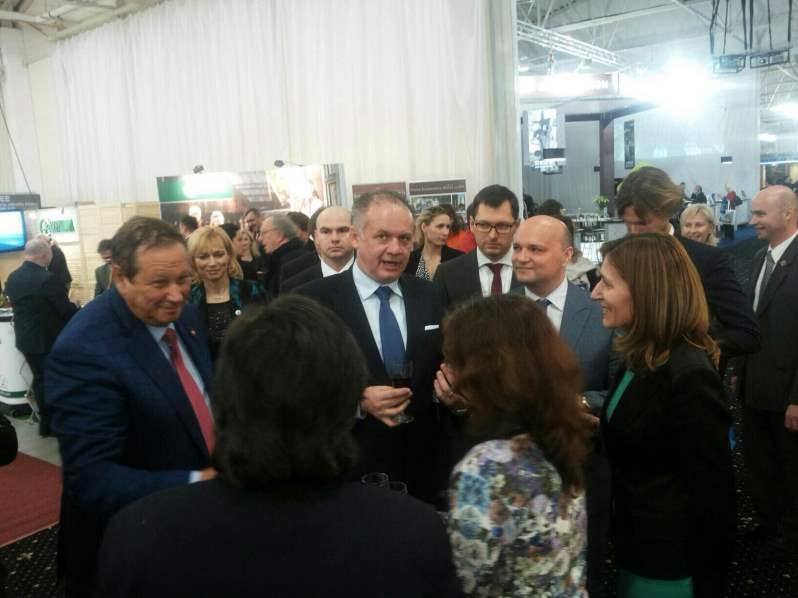 President Andrej Kiska visited the Bulgarian stall where 4 tour agencies were presented and held talks with Minister Angelkova for bilateral cooperation. Prospects for mutual initiatives promoting tourism in both Bulgaria and Slovakia were discussed. It was agreed to strengthen the administrative cooperation between the two parties in the sector. President Kiska is set to visit Bulgaria this coming autumn and has expressed interest in organizing a bilateral forum on the development of tourism. Bulgaria and Slovakia will work towards the establishment of the ‘Danube’ brand and for a greater focus on the Danube strategy. This was agreed by Minister Nikolina Angelkova and Frantisek Palko, State Secretary of the Ministry of Transport, Construction and Regional Development. The two parties will also look at possibilities to jointly promote their countries on the distant markets. The State Secretary Palko supported the initiative of Minister Angelkova to push for a greater focus on tourism within the Juncker Plan. The possibility to launch a direct airline Bratislava-Sofia which will reinforce the tourist exchange between the two countries was also discussed. This year’s participation of Bulgaria in Incheba was met with great interest from the Slovak tour agencies and tour operators. The fact that the head of state of the Slovak Republic personally visited the Bulgarian stall testifies to this interest as well as to the possibilities to further develop relations between the two countries. ITF SLOVAKIATOUR - Incheba 2015 is located on an area of 17 500 sq m where 387 stalls of over 20 countries are hosted and is visited by over 75 000 people. This is the biggest exhibit for tourism, wellness, fitness and gourmet within the territory of Slovakia.